As originally posted on Horse Crossings (4 May 2015). I’ve got a new toy, and I can’t stop playing with it. Over the long Easter weekend, I decided to see how quickly I could write an entire (albeit short) novel. I had a rough story outline and no other commitments, so I gave myself four days, sat down at my laptop, and started to write. To keep myself honest, I first declared my intentions on Facebook. I put each chapter up on Wattpad as I wrote it, so that people could check in and follow the story in real-time. It was a challenge, and it was fun. And even better, people really liked the story. The characters were a mix of old and new – some who’d shown up in my previous books, some who’d never been heard of before – but they all leapt off the page, and the writing just flowed. I don’t want to say effortlessly, because let’s face it, writing is never effortless. But I didn’t get bogged down or stuck in the story, I just wrote and wrote and wrote. Posted another chapter, and wrote on. And so on, until suddenly on Sunday afternoon, I was done. And with a whole day to spare! What else to do, then, but start the sequel? Or even better…make it into a series! After all, if I can write one short novel in a weekend, I should be able to get one book done each month, right? Well, life’s nothing without challenges, so I put my thinking cap on, came up with a concept that I loved, and the Pony Jumpers series was born. 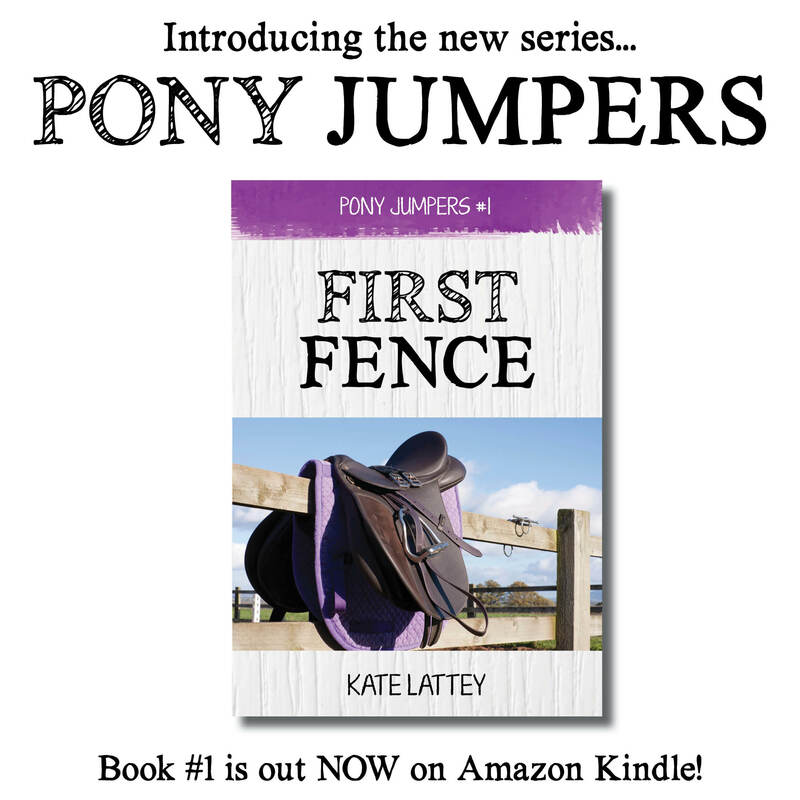 The first book, First Fence, is told from the perspective of a character named AJ, who is struggling with her pony until she befriends Katy, another young rider who has a wealth of experience. 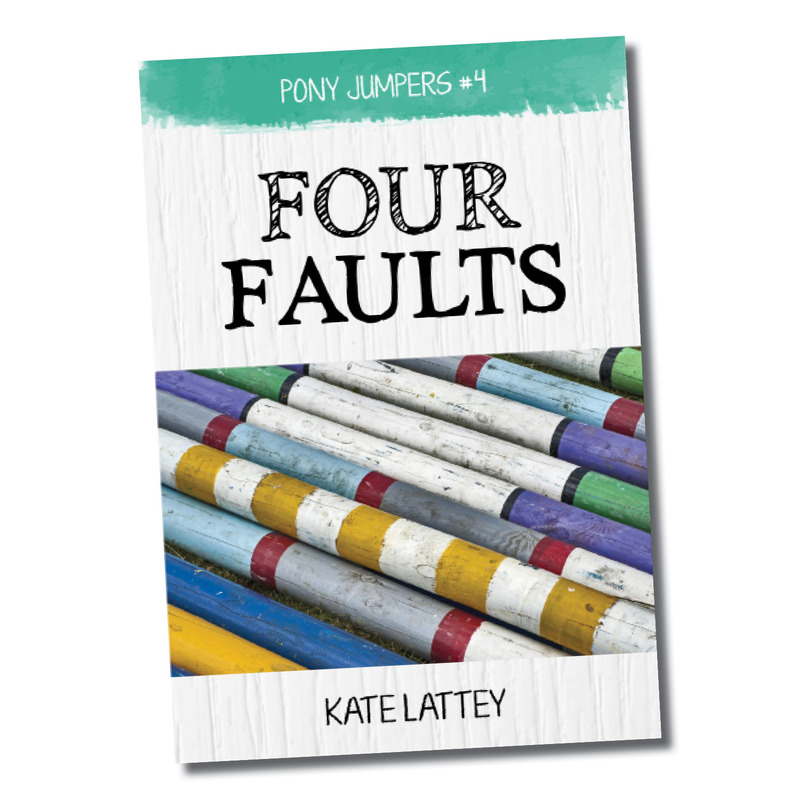 Katy and her mother Deb give AJ the help she needs to get her pony on track for a successful competition career, something AJ, who comes from a completely unhorsy family, has only ever dreamed of before. 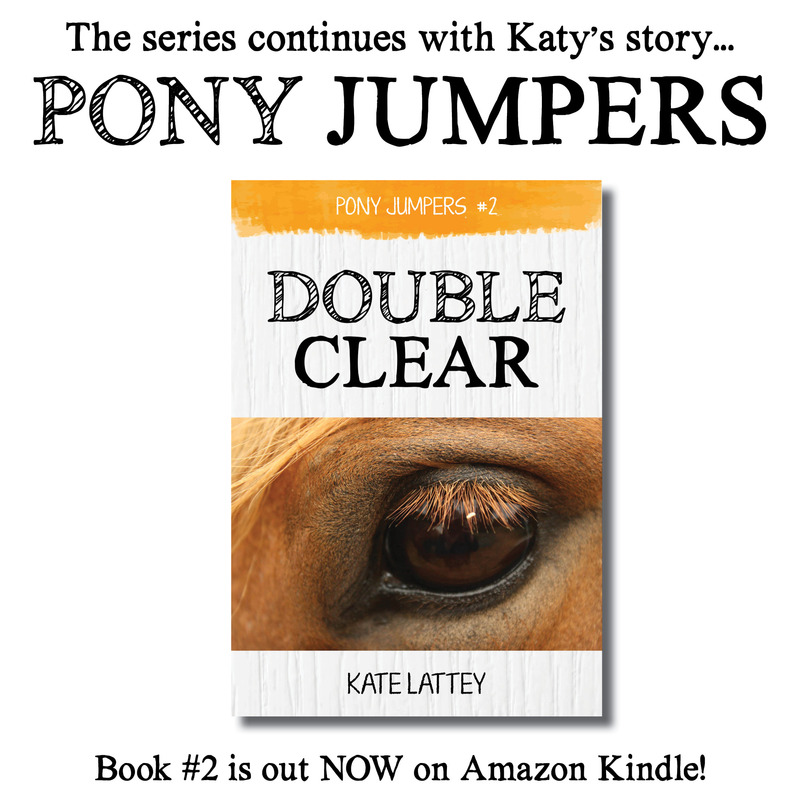 The sequel Double Clear is then told from Katy’s perspective – and while she turned out to have a strong voice and plenty of storyline, she also turned out to be a far more complex character than I’d ever anticipated. It was almost as though once I got inside her head and she started to trust me to tell her story, she realised she didn’t have to put a brave face on all the time, and everything that was bothering her just came pouring out. Katy has a lot of issues to work through, and at times the book was heart-wrenching to write. But there are so many threads to her storyline – outside of the pony-centric A-plot there are at least five other sideline plots to follow through with in the upcoming novels. I’m excited to see how she progresses over the course of the series. So, the series. I can’t say for sure how many books I’m going to write, but I have the basic plots and timeline sketched out to get myself as far as (brace yourself) twenty novels. Ambitious, for sure, and whether I ever find the time to write them all, I can’t say. But I have committed myself to the first eight by the end of the year. Why eight? Well, after Katy’s story is told in book #2, I’m switching it up again to a different protagonist for book #3, Triple Bar. Not that she’s entirely new – Susannah has been showing up in my books for years, and has appeared already in the first two books in this series. If Katy is a complex character, Susannah is a veritable kaleidoscope. There is a lot going on behind closed doors in her life, and I’m looking forward to exploring her side of the story, since we’ve only seen her through other people’s eyes up to now. NB: This book is not actually released yet – it is due out in late May. I also – and this sounds completely nerdy but it’s true – love episode titles. Some of my favourite TV dramas have great episode titles, whether they’re a play on words or a quote from Shakespeare, or just really gorgeously poetic. And you’ve probably noticed the theme that I’ve already started with my new series of numbering the books within their titles. (Four Faults will be followed by Five Stride Line, then Six to Ride…and so on. I had so much fun coming up with them, and yes they go all the way up to 20.) I designed and created the covers myself, using Adobe InDesign. The cover photo of First Fence is an iStock photo and Four Faults‘ cover image comes from Shutterstock, but the cover images for Double Clear and Triple Bar were taken by a friend of mine for a school assignment several years ago and she has generously allowed me to use them. (I also used my borderline Photoshop skills to swap out the background on Triple Bar which was originally shot on carpet, not wood. Hopefully you can’t tell!) I have placeholder images for the rest, mostly from Shutterstock, which will be purchased as required. And the colour theme of purple for AJ’s books, yellow for Katy’s, pink for Susannah’s and green for Tessa’s will continue throughout the series. I took that as a huge compliment. When people believe in my characters that hard, I must be doing something right. First Fence and Double Clear are now available for purchase on Amazon at US$2.99 each. 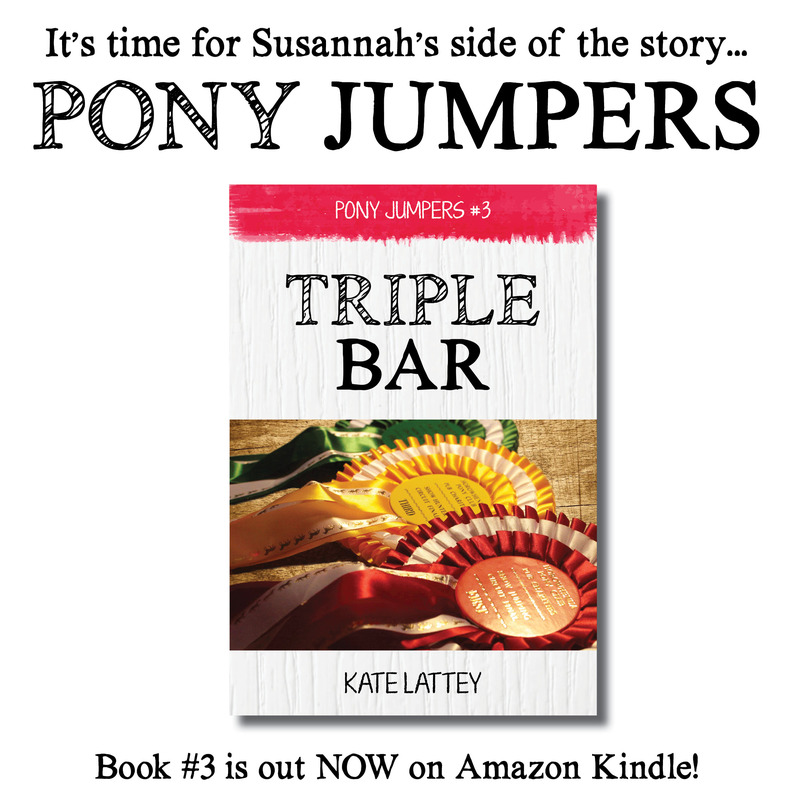 The first chapter of Triple Bar is also included at the end of Double Clear to give readers a taste of what’s to come! Soon! I finished writing the first draft last night so it should be ready by the end of the week.